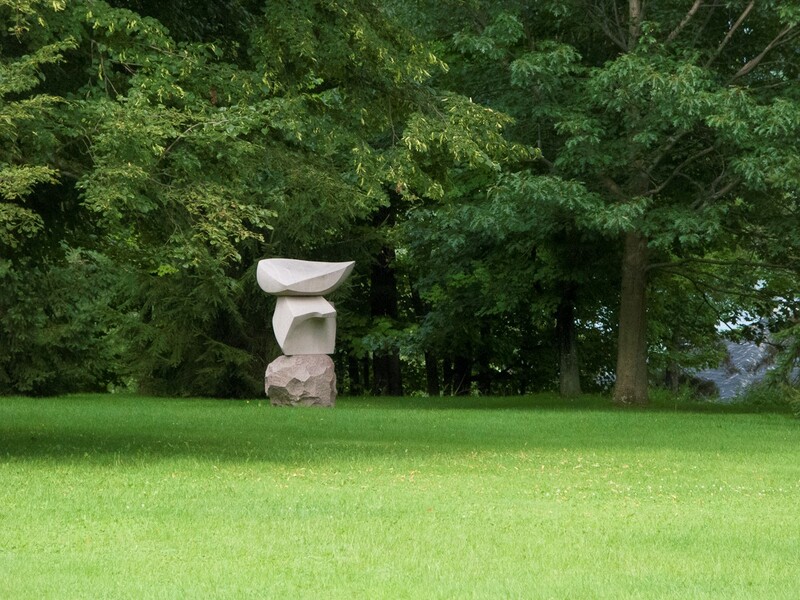 Glen Villa is a 750-acre private property owned by Pat and Norman Webster, enhanced with contemporary sculpture, Asian artifacts and works of art. 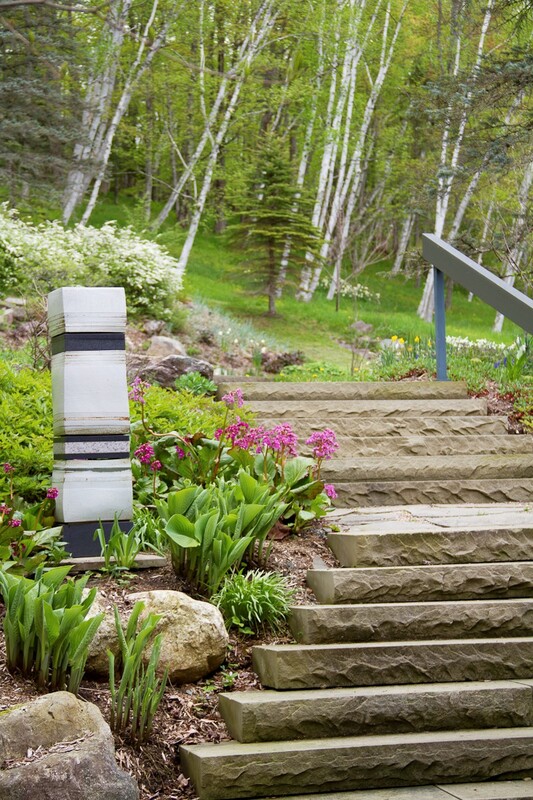 More a garden of woodland paths than a traditional country garden, Glen Villa integrates nature and art, past and present, into a tapestry of many experiences. 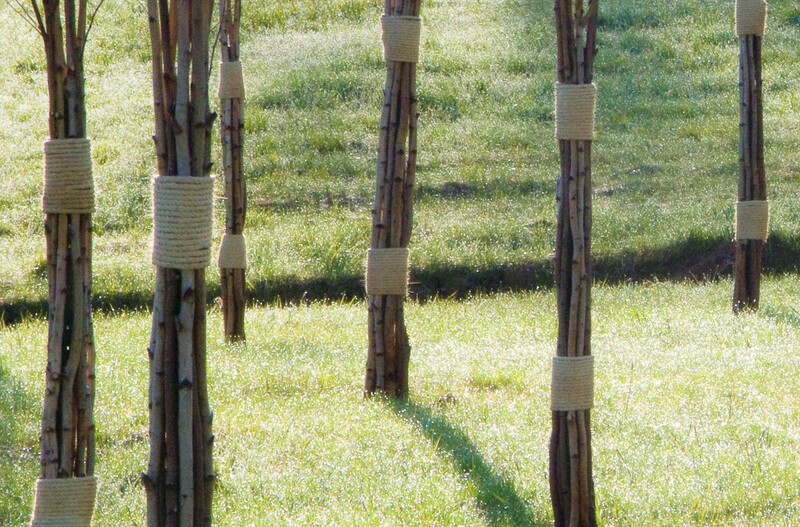 Woven into the network of paths that lead through fields, woodlands and landscaped gardens are a series of themed garden “rooms” designed to reflect the rich history of the site and the people who lived there. 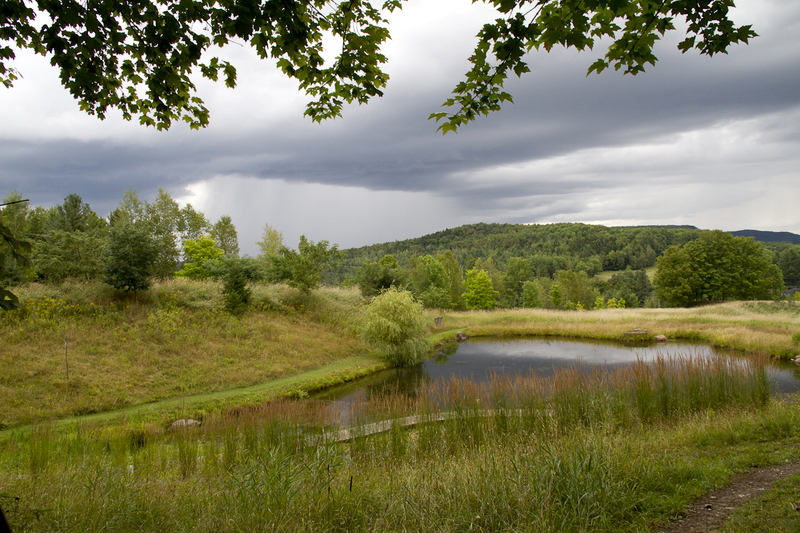 Throughout the property works of art create opportunities to pause for thought, to be aware of the surroundings, to consider the relationship between artifice and nature, the cultivated and the wild. 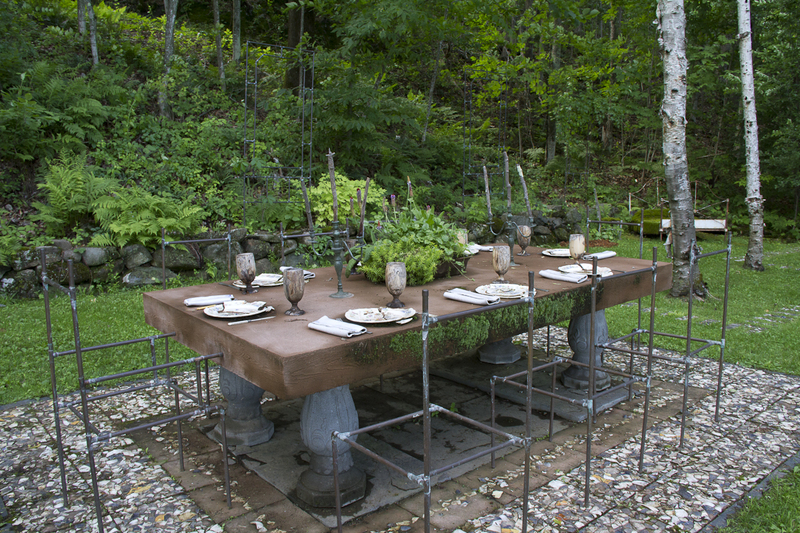 Located in the Eastern Townships of Quebec, about 130 kms east of Montreal, the gardens are situated on the shores of Lake Massawippi, just outside the picturesque village of North Hatley, Quebec, a predominantly English village in the midst of a majority French province. 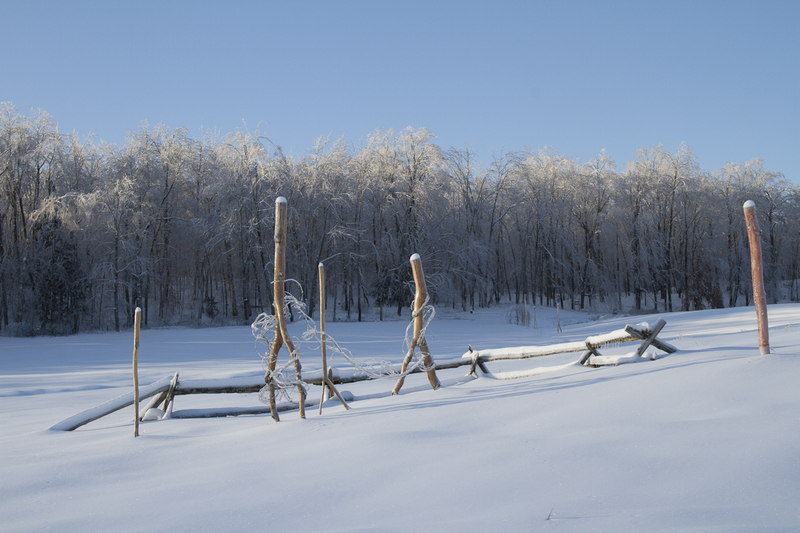 They are open to visitors on selected days of the year, by invitation only. 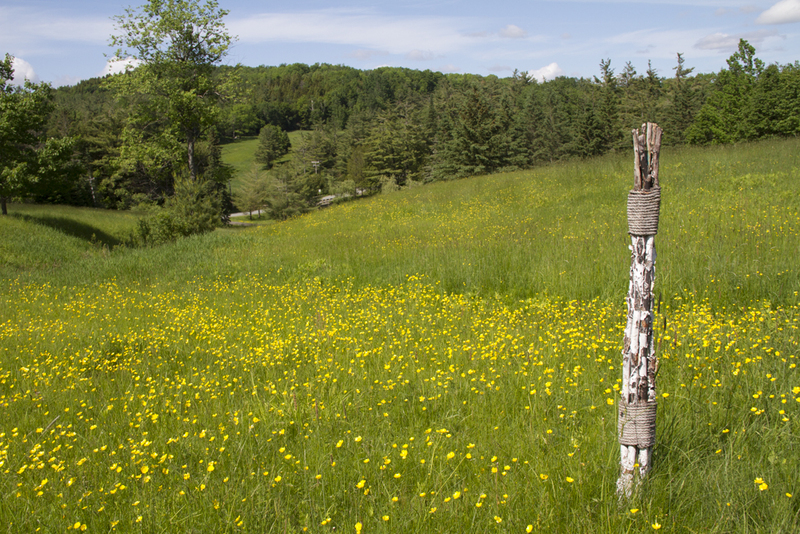 The original inhabitants of the land now called Glen Villa were Abenaki Indians and their ancestors, stretching back several thousand years. 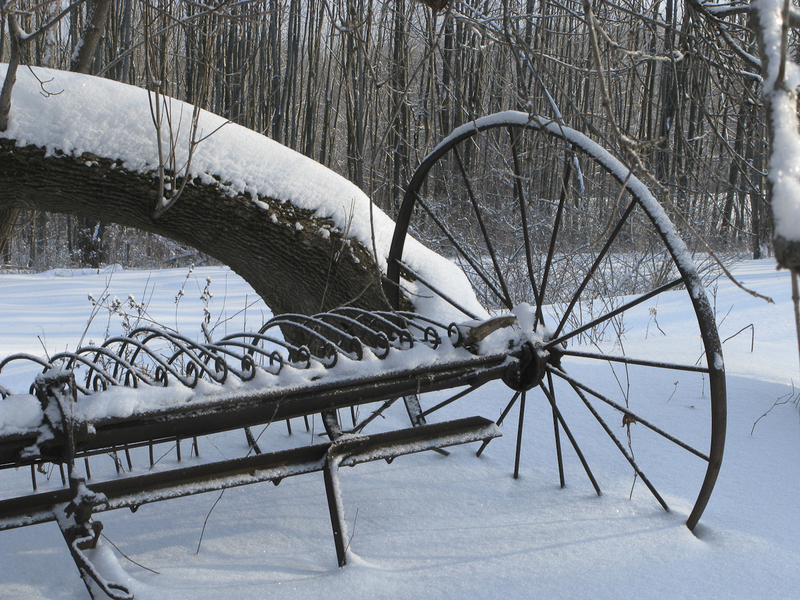 In the past 150 years, the land has undergone numerous changes of ownership and function. 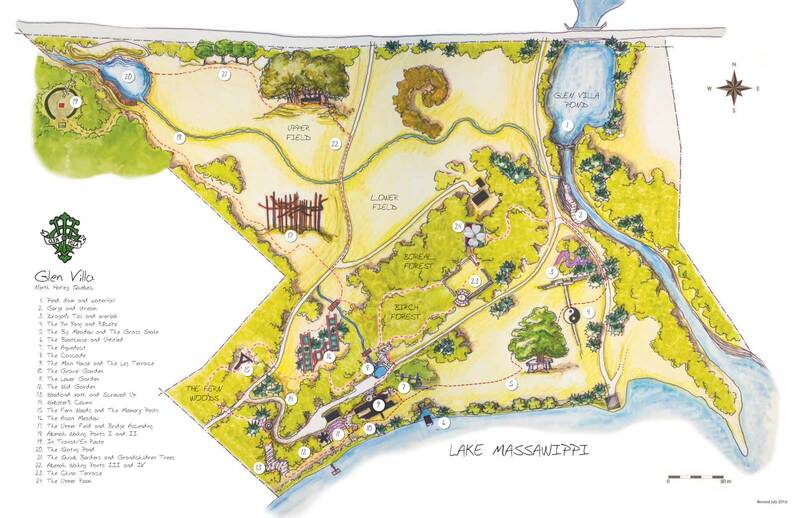 It has been part of a large dairy farm, the site of a sawmill, and the location of two hotel resorts for summer visitors to Lake Massawippi, who arrived by train in North Hatley and travelled down the lake by paddleboat. After the hotels burned down, Glen Villa became the site of summer camps, summer cottages and then year-round residences. 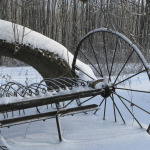 Owners of the land include Canadians from Sherbrooke, Montreal, Toronto and Vancouver, and Americans from New York City, Baltimore, St. Louis and Texas. The land was given the name Glen Villa by Eric Webster in 1947, named after one of the earlier hotels, and the name was resurrected in 1996 when Eric’s son Norman and his wife Pat reacquired the land. Pat has been working on the gardens since 1999. 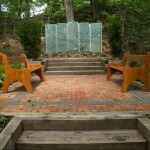 The gardens at Glen Villa are not traditional flower-oriented gardens. 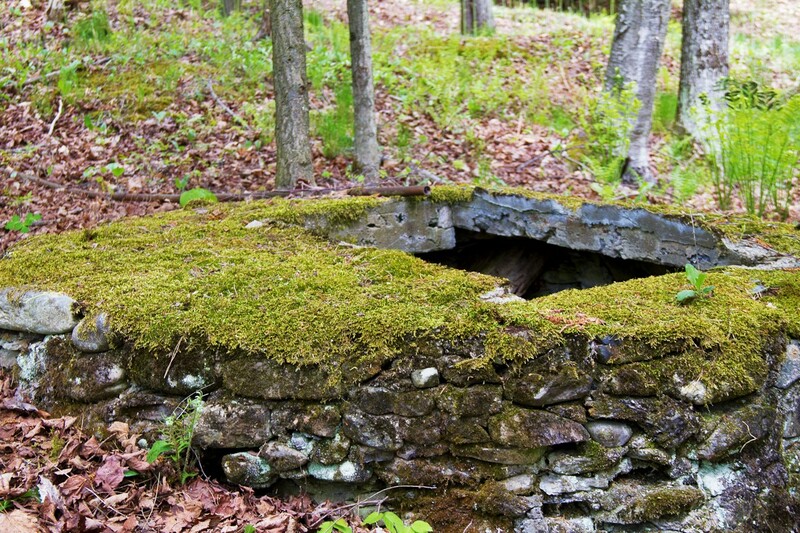 Instead, the focus is on the rich and unusual history of the property, the lives of people who have lived on it, and the ways different personal histories have shaped the natural beauty of the land. 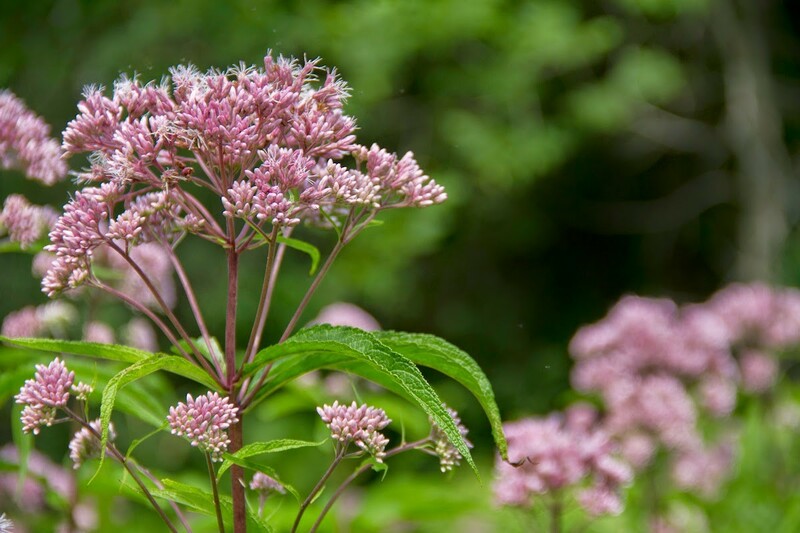 The Upper Field is an old farm field gradually being turned into a wildflower meadow.Shrub borders fenced against the deer feature old-fashioned flowering shrubs like lilac, mockorange, elder and ninebark, as well as several colourful varieties of viburnum. 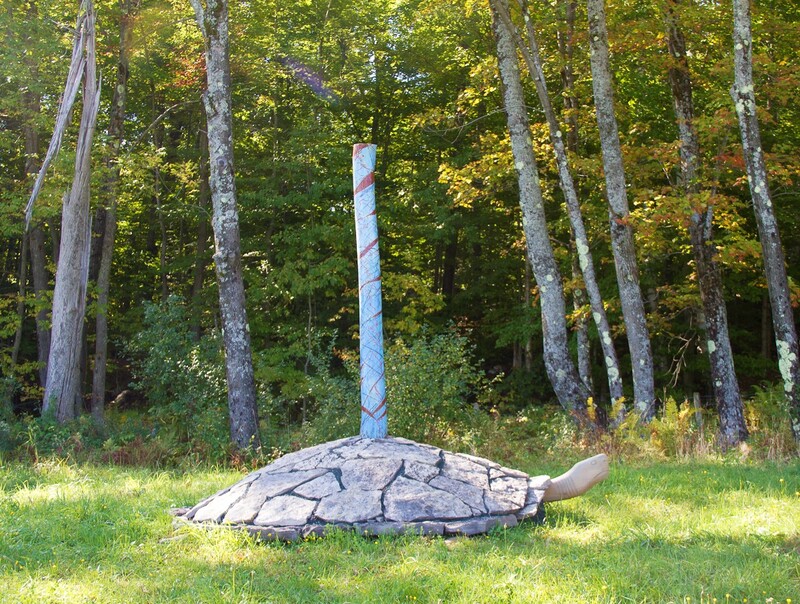 The art installation Abenaki Walking is situated in the Upper Field, as is the sculpture Bridge Ascending. 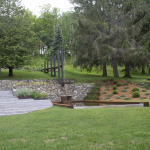 The Gravel Garden is the latest addition to the garden at Glen Villa. 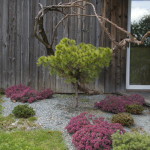 The trunk of an oldjuniper frames stones and small evergreens set within a zen-like bed of raked gravel. 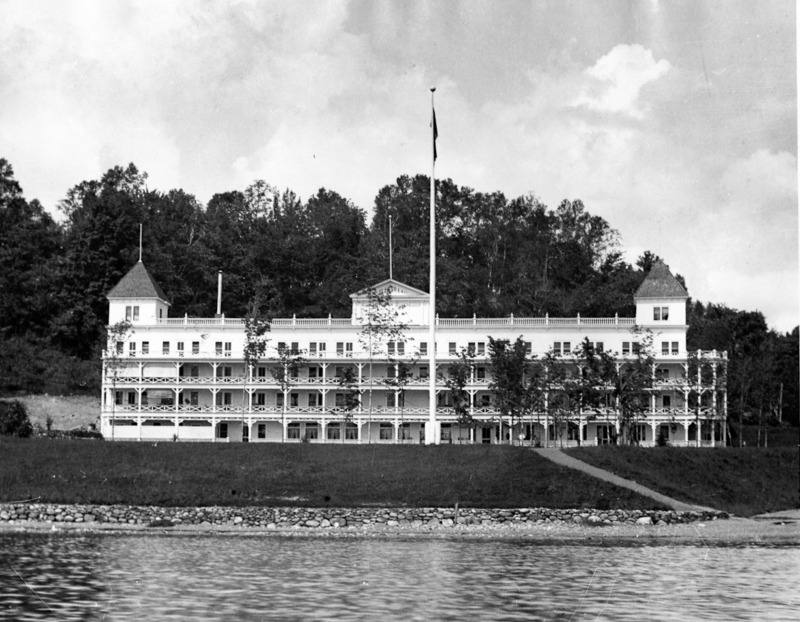 The China Terrace is a re-imagining of Glen Villa Inn, a large resort hotel that burned to the ground in 1909. Using pieces of broken china burned in the fire, Pat has recreated the outlines of a hotel, complete with dining room, bedroom and a staircase to an upper story. 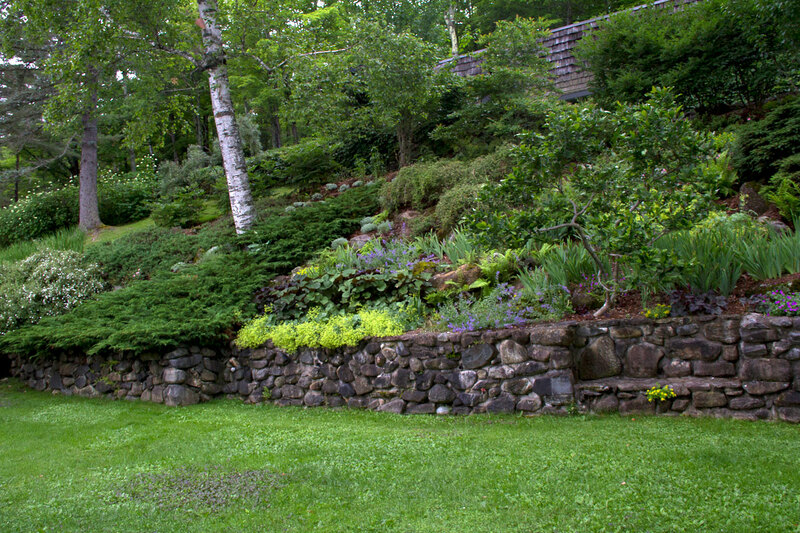 The Lower Garden combines perennial borders and a rock garden on the site of aformer summer cottage. 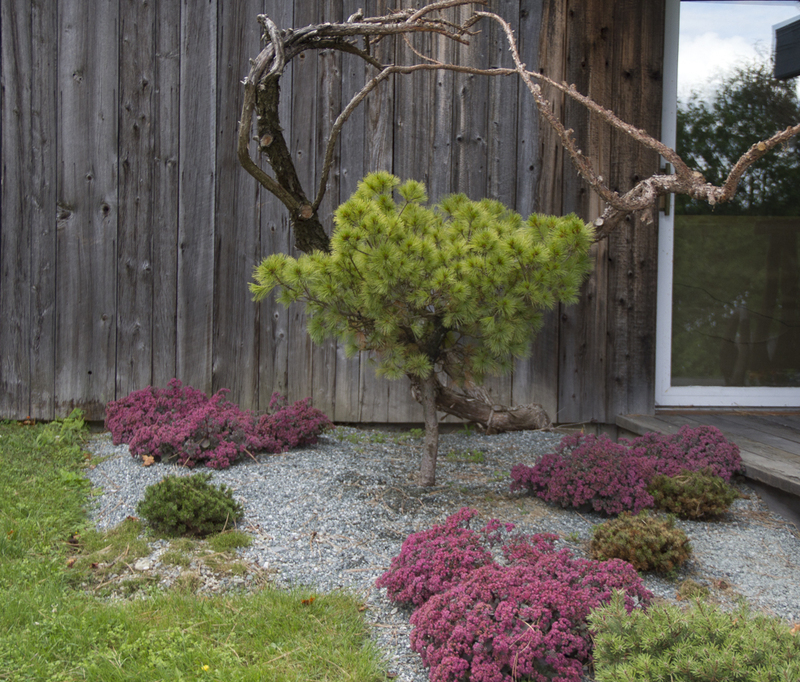 A steep slope rising above a grassy lawn is planted with shrubs and perennials in colours designed to create a sense of calm and serenity, while evergreens and flowering shrubs provide a counter balance on the flatter ground. 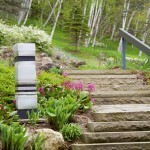 Stone slab steps define the entry to the Lower Garden and a gate echoing the architecture of the house defines the exit into natural woodland. 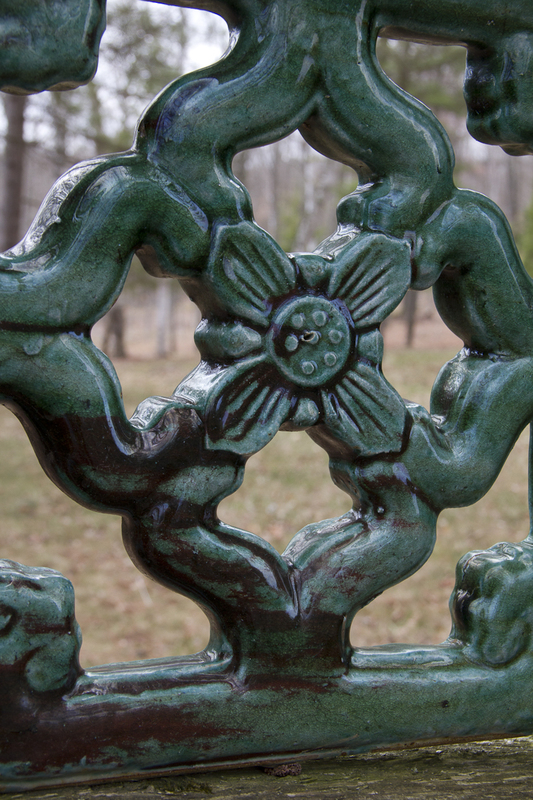 The Asian Meadow recalls the years that Pat and her husband lived in China. 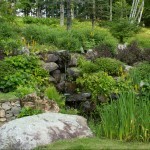 A zig-zag bridge crosses a stream lined with water-loving plants. Steel carp, representing Pat’s view of her family, dance above the water in mid-air. 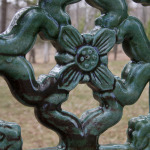 Nearby a fence inset with Chinese tiles surrounds a picnic area. 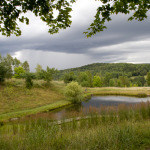 The Skating Pond, is a water feature that provides a natural refuge for wildlife andwildflowers. A large rock outcropping on one side of the pond, accentuated with a mass of ornamental grass (Calamagrostis ‘Karl Foerster’) is in sharp contrast to the pastoral setting within an old farm field. 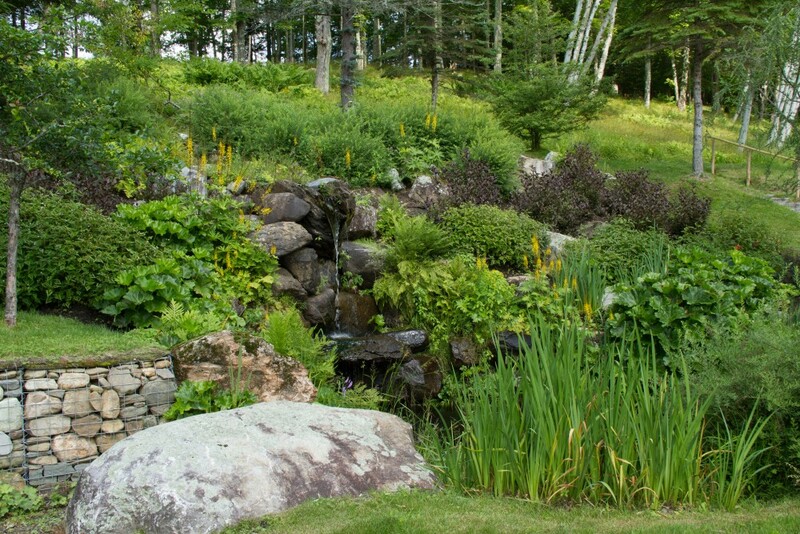 A berm that protects the pond on another side of the pond is planted with daffodils for spring bloom while assorted wildflowers add colour throughout the summer and fall. 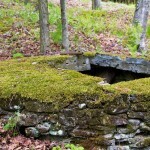 The Mossy Well once supplied water to Boulder Cottage, one of several summer cottages built on the site in the early 1900s. 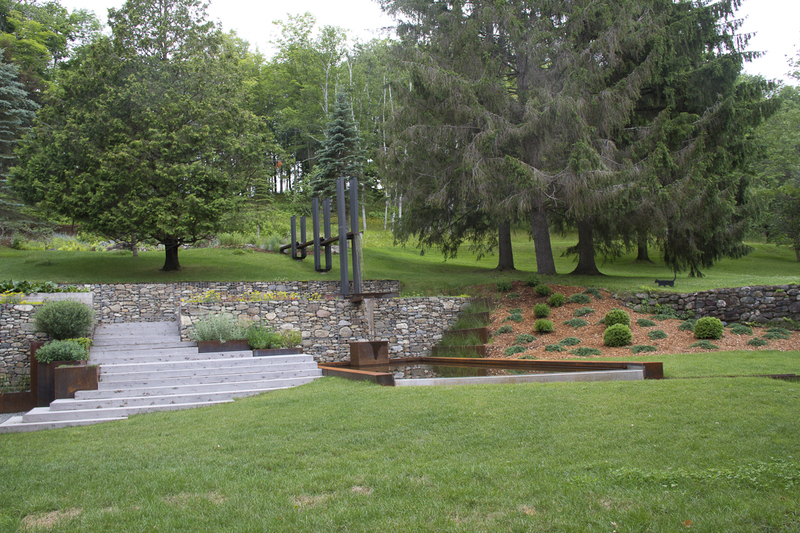 The Aqueduct is a contemporary water feature that stretches several hundred yards from a natural cascade near the house to Lake Massawippi. 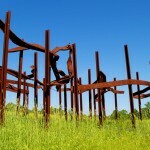 Along the way it showcases water’s many aspects, appearing and disappearing, falling from an elevated channel, trickling gently down slopes, and resting in a pool that reflects the sky and surrounding vegetation. 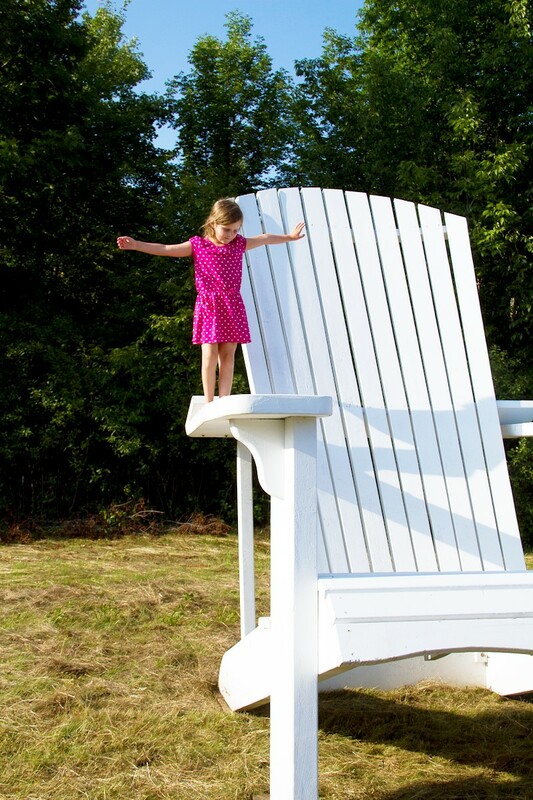 The Big Chair is a giant Adirondack chair designed by the Montreal firm Nip Paysage. 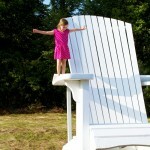 It towers over the countryside, bringing back memories of childhood when even ordinary chairs felt oversized. 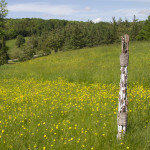 Paths lead through forests, fields and fern woods, past reminders of former times when Glen Villa was a working farm. The Upper Room honours Pat’s Mother and Pat’s Virginia heritage. 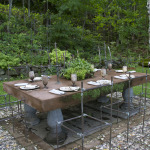 Brick and boxwood, traditional elements in southern U.S. gardens, define a formal space on a natural forest hillside. 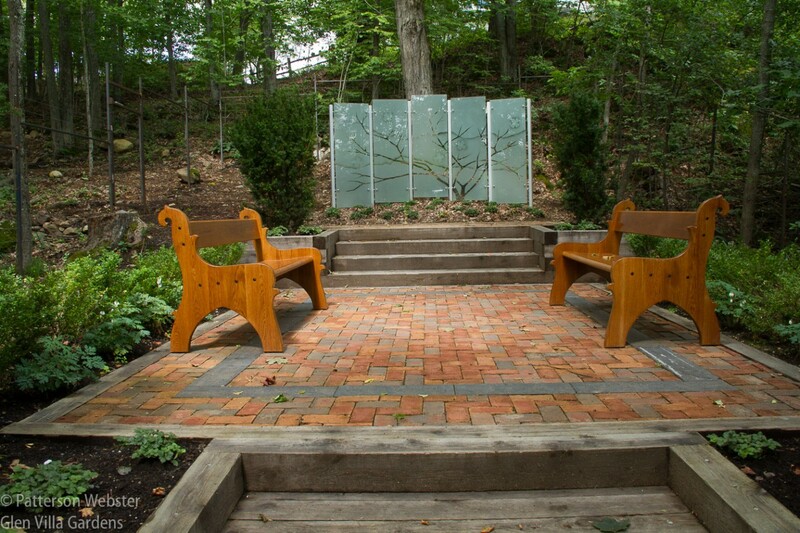 Benches like church pews offer a place to sit and admire a sand-blasted panel that displays the outline of a dogwood tree along with over-sized dogwood blossoms, the Virginia state flower. 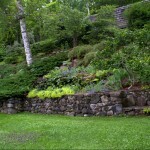 The Cascade and the adjoining gabion wall combine lush perennial plantings with contemporary design, serving as a fitting introduction to the garden as a whole. Water coming over the rock ‘spout’ flows naturally from the hills above. 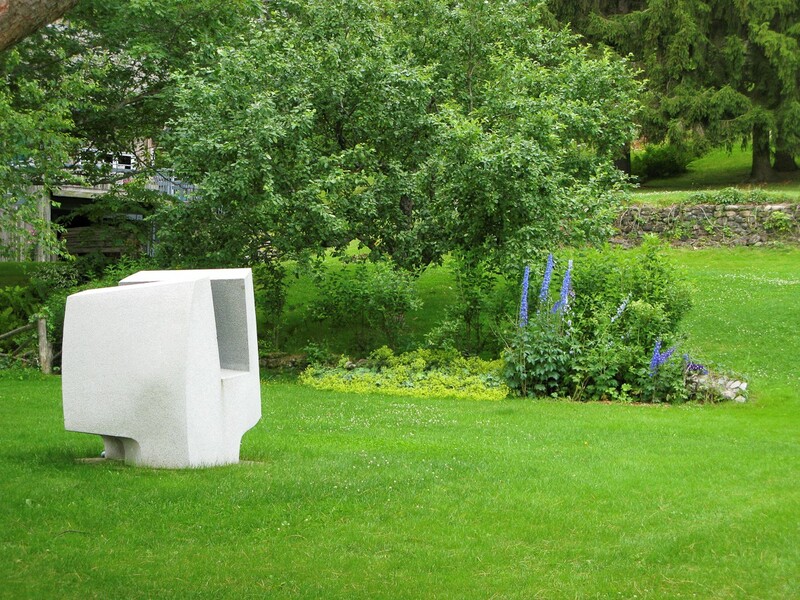 Sculpture and art installations are located throughout the property. 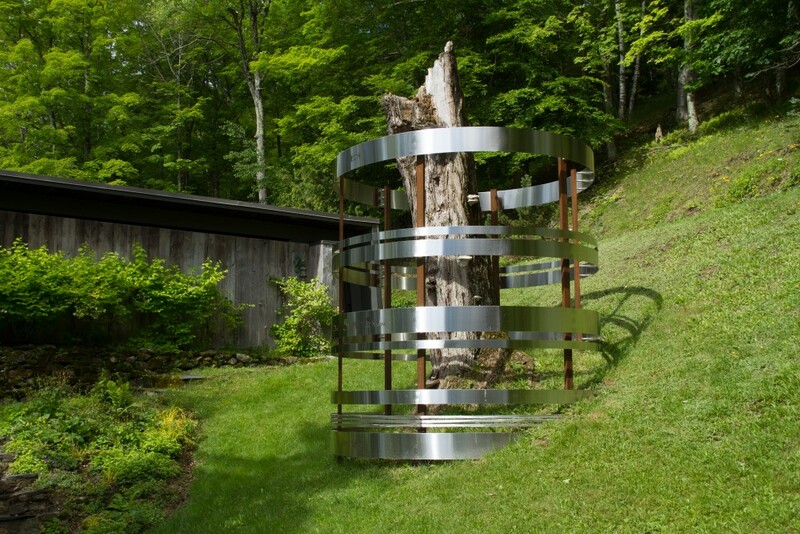 Tree Rings, Patterson Webster, 2015. 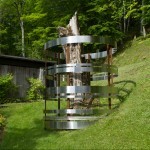 Tree Rings is a sculpture that combines the trunk of a dead maple tree and stainless steel rings laser-cut with words that chronicle the life of the tree. 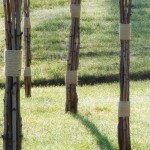 Rings of different widths suggest how the tree grew, with wider rings in good years, narrower rings in bad, while gaps between the rings display the deeply furrowed bark that gives the tree its special character. The Writing is on the Wall, Patterson Webster, with John Hay, 2016. 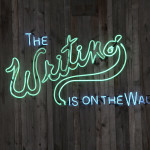 A self-referential neon sign, The Writing is on the Wall lights up a shady area beside the house and provides a light-hearted reminder of times past and times to come. 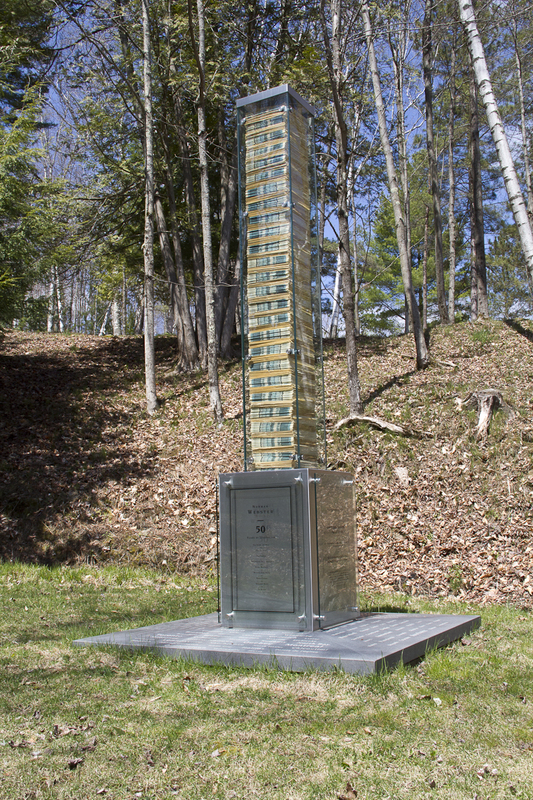 Webster’s Column, Patterson Webster, 2011. 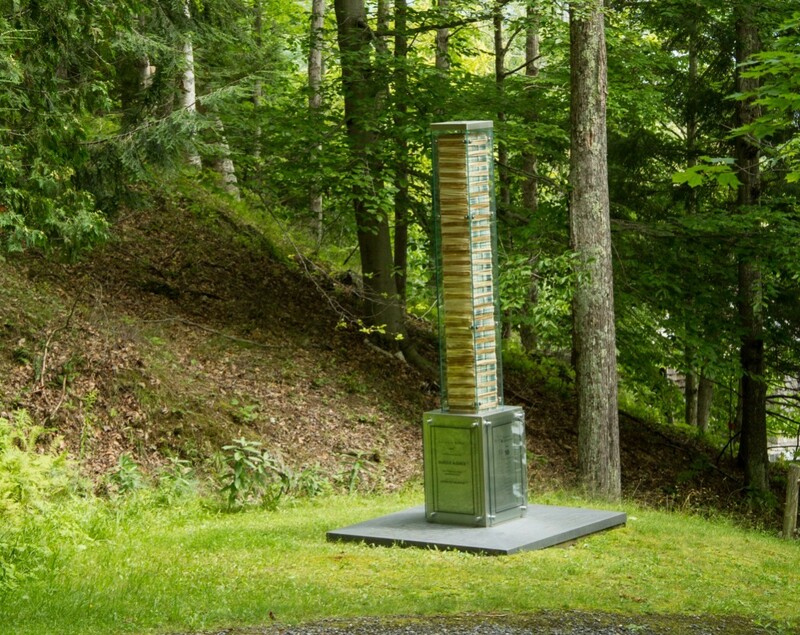 A glass column filled with newspapers is Pat’s tribute to her husband’s 50-year career as a newspaper reporter, editor and columnist. 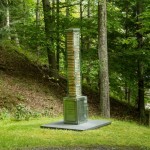 The Memory Posts I & II, Patterson Webster, 2007 and 2008. 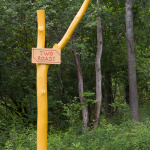 Tree trunks painted as memorials to relatives who have died stand within fern woods. Each post contains symbols relevant to the individual it honors. 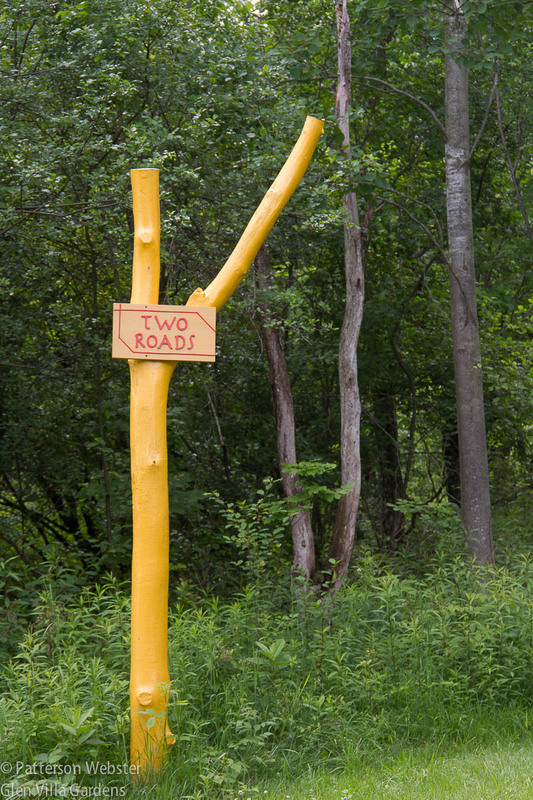 Abenaki Walking III, Patterson Webster, 2012-13. 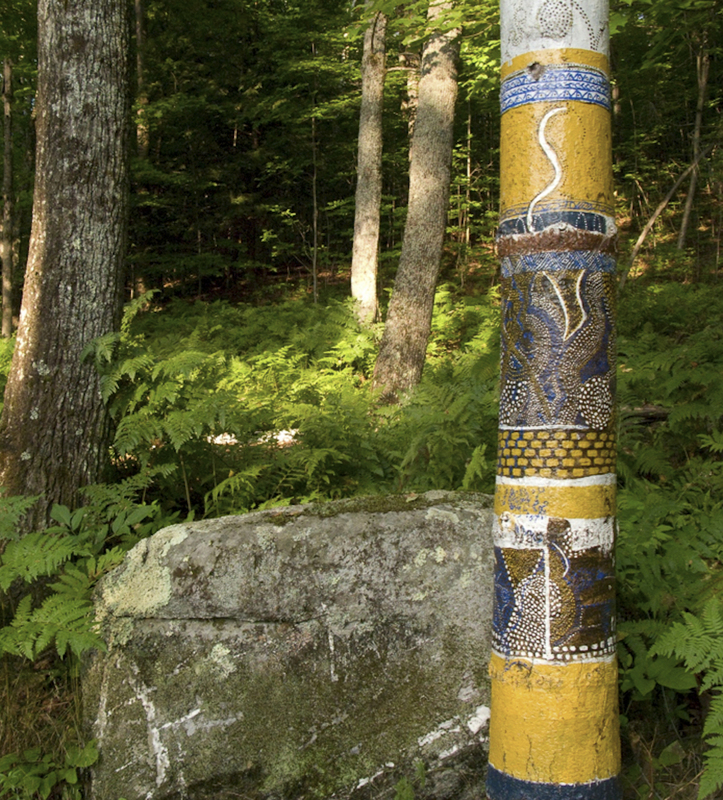 Stretching through the Upper and Lower Fields, it depicts the history of the Abenaki Indians from creation to the present day. Bridge Ascending, Doucet-Saito, 2003-04. 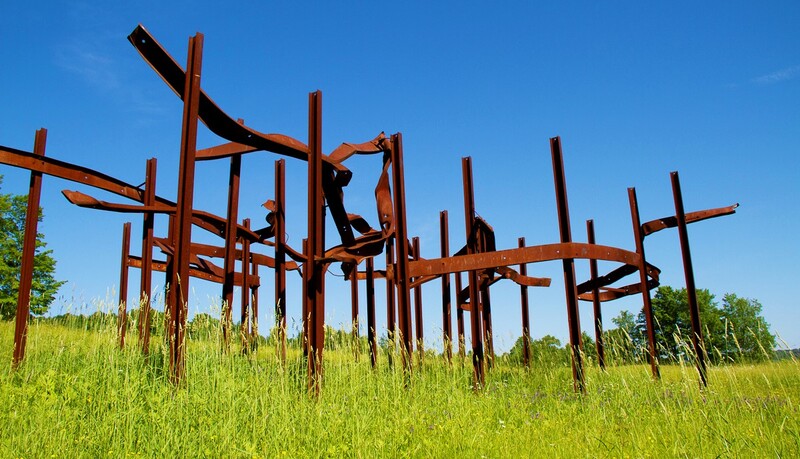 Rusted steel remnants from an old covered bridge are resurrected magically as a sculpture in the Upper Field. Untitled, Doucet-Saito, 1983. 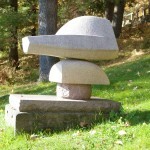 Commissioned by Pat and Norman Webster in 1982, this Untitled granite sculpture was the first created by the husband and wife team. The Grass Snake, Patterson Webster, 2011. 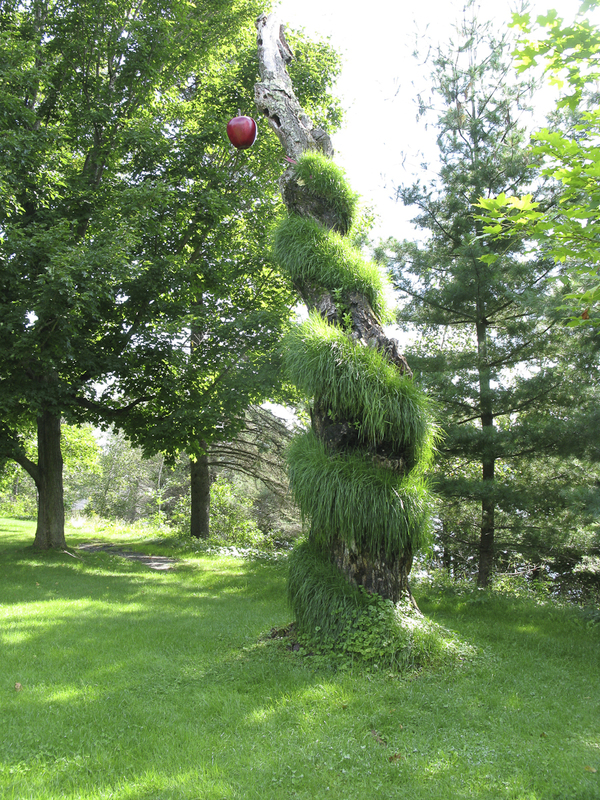 A whimsical creation made of grass that grows up the trunk of a dead tree. 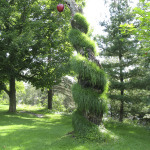 The Grass Snake links Glen Villa’s garden to the tradition of paradise gardens and specifically to the Garden of Eden. Signs on the land in various places throughout the property, Pat has erected signs that connect the landscape to literature and art. Ghost Walk, Patterson Webster, 2008. 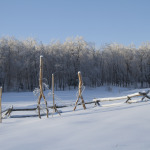 In the final segment of Abenaki Walking, small tree trunks tightly tied together disappear across the Lower Field, suggesting the fate of the Abenaki in the present day. Untitled, Doucet-Saito, 1984-85. 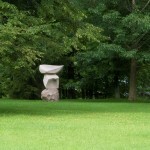 Bands of clay and granite form a sentinel standing guard near the entry to Glen Villa. 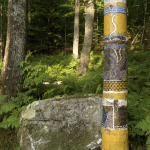 Abenaki Creation Story, Patterson Webster and John Hay, 2011. 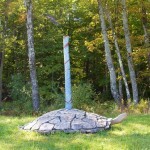 A turtle rises out of the primordial muck, changing chaos to order and creating the world on its back. 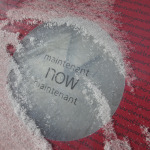 Au bord du printemps, Louise Doucet and Satoshi Saito, 1992. 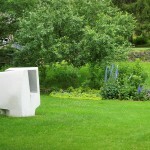 Granite becomes a spritely bird signalling the return of spring. 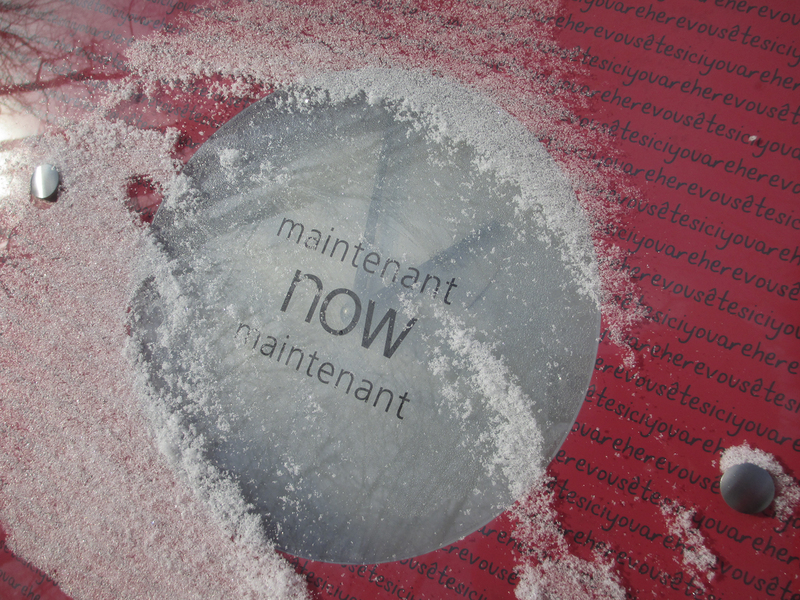 Récolte, Louise Doucet and Satoshi Saito, 1998. 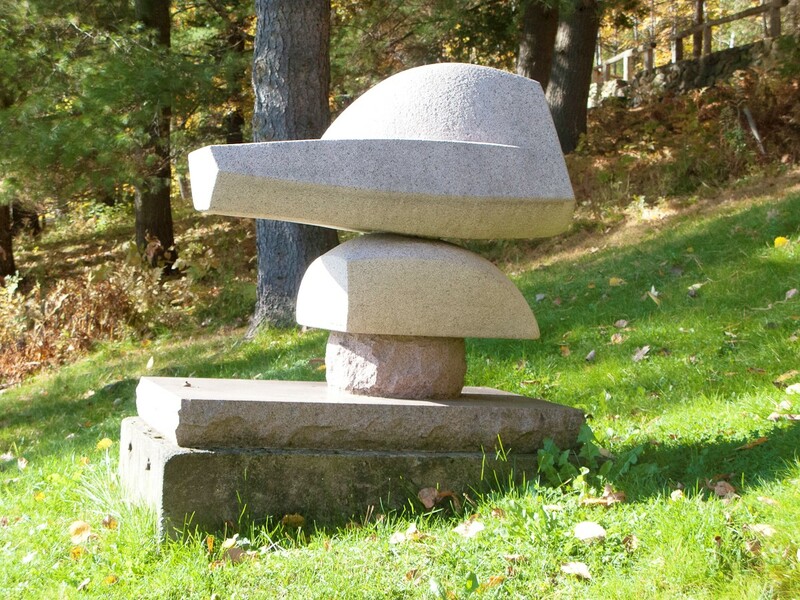 A red granite sculpture is named after the shape of hats worn by Vietnamese women as they harvest rice.